Today I am going to Taylor Swift's reputation Stadium Tour here in New Jersey, and I am so excited! I have been a Taylor fan for as long as I can remember, and I have been looking forward to this concert for months. And what kind of nail blogger would I be if I didn't do nail art for the occasion? These are the nails that I did for the event, inspired by the album artwork. If you guys have been following me for a while, you might remember that a Taylor's Red Tour Concert, I was moved to the front row with my sister and my cousin. To top off that experience, after Taylor sang "State of Grace", she took off her hat and handed it to me! I will never forget that amazing concert experience, and I have always enjoyed going to Taylor's concerts. This will be the 4th tour that I've attended! 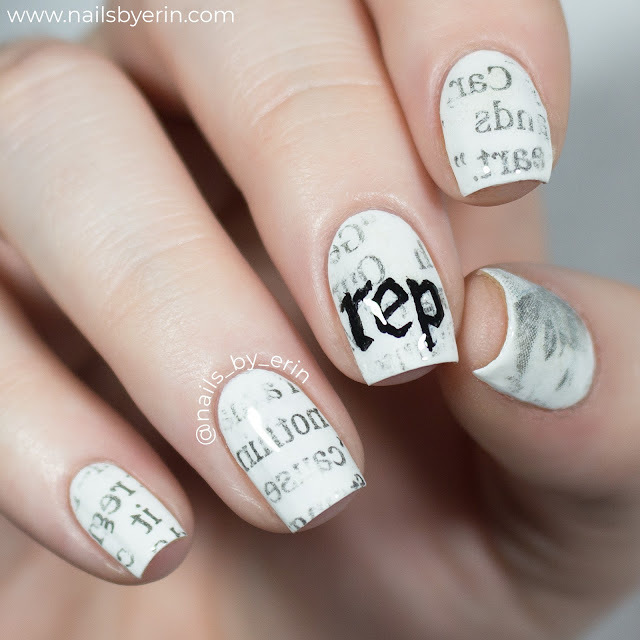 Her album artwork reminded me so much of newspaper, so I decided the easiest way to recreate this look would be with newspaper nail art! 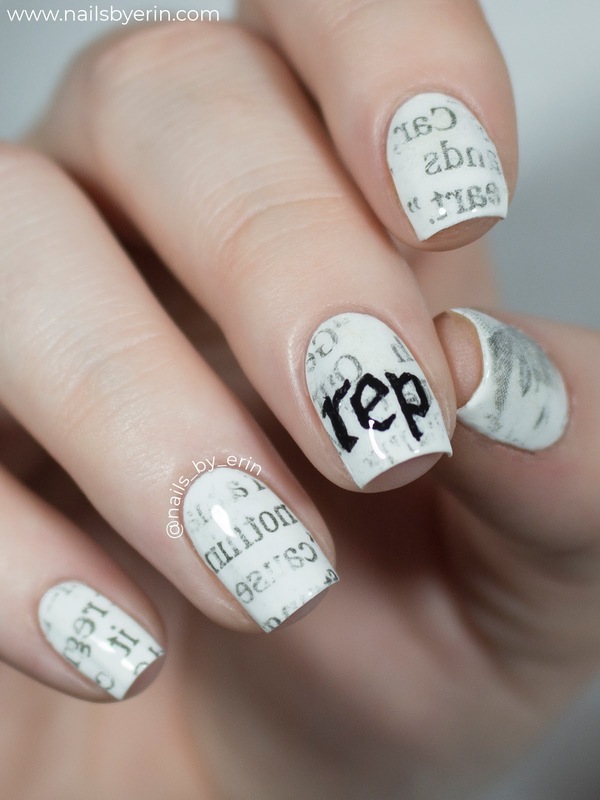 I had this crazy idea to do the newspaper nail art using only reputation and Taylor Swift articles, so I have literally been collecting newspaper clippings to use for this nail design! I'm really happy I did though, I think it's a cool added effect. If you look closely you can see some words with song lyrics or Taylor's name. 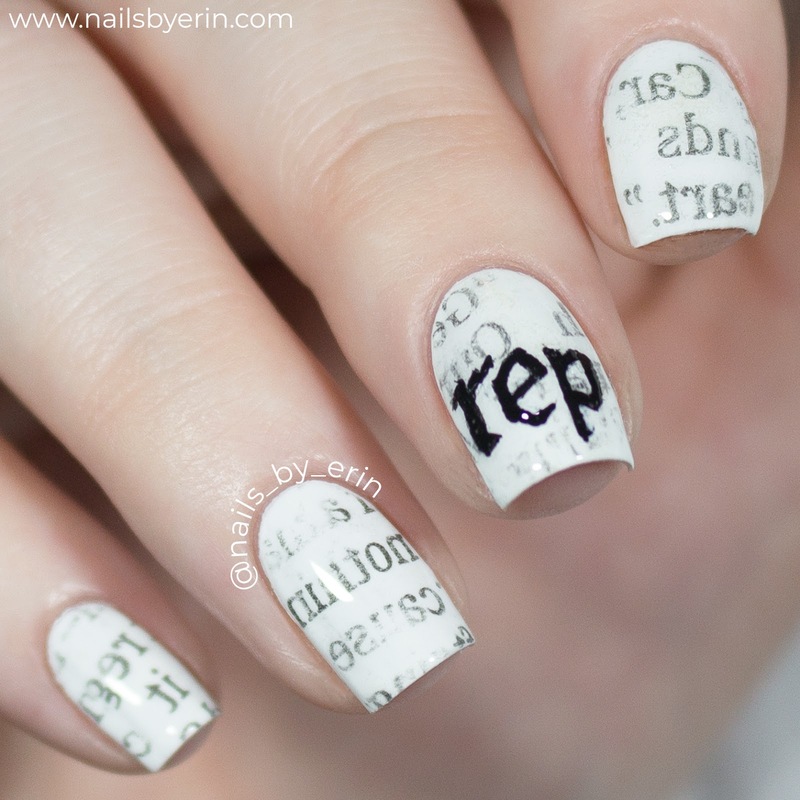 On my middle nail, I tried to recreate the gothic "reputation" font that is used in the album artwork. Emphasis on tried. It might not look perfect but I think it's passable! 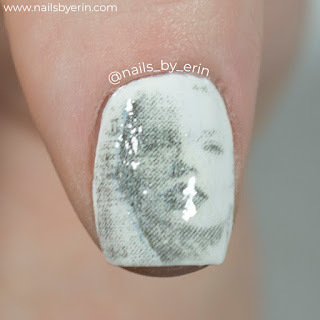 And I got super lucky... One of the newspaper articles actually had a mini reputation cover on it, so I was able to put the picture of Taylor from the album artwork onto my thumb! So enjoy this ugly picture of my thumb trying to show what the nail looks like, haha. Q&A and Face Behind the Nails Reveal! !